Sports bars get a bad rap for serving up fried food with a bland taste. But TJ’s Catfish & Wings in South Arlington is changing up the game plan for what a sports bar can, and should, be. This family operation got its start 14 years ago as a local “wing shop.” The mom and pop restaurant did well and developed a reputation and following. Travis Johnson (that’s where the TJ’s comes from) has worked in the business since just after college and actually bought it outright from his brother and partner about five years ago. He’s since introduced fish, shrimp, chicken tenders and salads to the menu. “Our menu is simple but done well,” says the 36-year-old Johnson, who played four years of college football at Ouachita Baptist University in Arkansas. 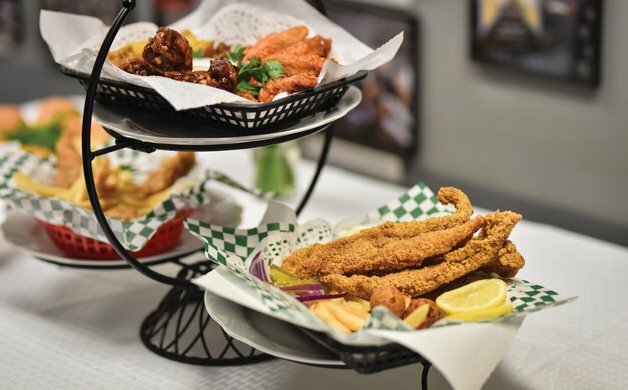 “And we think we have something for everyone.” There are a handful of salads to compliment the traditional and boneless wings, fried catfish and shrimp offerings. 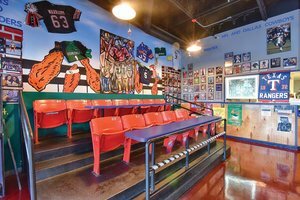 The kids menu makes the joint a great choice for sports fans and their families. Johnson grew up in a family where his mom’s cooking was famous with all their friends and, he says, his dad was an ace behind the grill and smoker. “My friends would always ask me ‘What did your mom cook today?’ ‘Can I come over?’ so we just grew up around good cooking,” he says. Not surprisingly, the restaurant has relied on family recipes and know-how and, as Johnson says, “a little trial by fire” to create a local favorite that’s going on 15 years in business. “We have always tried to provide a great product with excellent service in a clean place,” he says. When you walk in the door at TJ’s Catfish & Wings the first thing you see are two rows of red stadium seats lined up with table tops fastened across the front. Before you ask, yes, they are from the old Arlington Stadium. 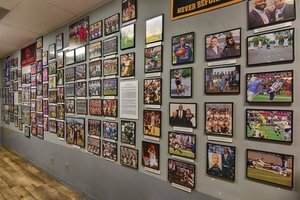 Dozens and dozens of photos in picture frames line the walls displaying local, regional and national sports heroes in action or just visiting the restaurant. There’s even some old photos of Johnson from his playing days. He says the weekends tend to be busiest for the restaurant and, of course, game days for the Rangers and Cowboys bring in big crowds. Johnson is a Martin High School graduate who lives in the area and loves giving back to the community. On Tuesdays, all students get a discount and he says the place is packed at lunchtime with Martin students. Obviously, the sports theme is big here. Team banners and jerseys hang from the walls and ceiling and several TVs glow with live baseball, soccer and other games. The concrete floors are painted red and there are matching red tables with black and white checkered chairs. You’ll find Johnson onsite daily, his mom is often there too and another half dozen or so employees are on hand and eager to serve. There’s room for about 50 customers inside. Walk up to the counter, place your order and then find a seat and enjoy sports nirvana. With a name like TJ’s Catfish & Wings we knew we had to order, well, catfish and wings. And boy are there a lot of wing flavors to choose from – Jamaican Jerk, Parmesan Golden Garlic, Caliente Pepper, Honey Mustard, Teriyaki and many more. We had a sampling of both traditional (bone-in) and boneless wings with the Teriyaki and Garlic Golden Parmesan flavors. The sauces were just right, not overpowering or underwhelming. The roll of paper towels on the table came in handy, though. The catfish fillets were old-school cornmeal-battered goodness. Johnson said they marinate their fillets before cooking. They were served up hot and crispy, but not greasy, the way catfish is supposed to be prepared. A couple of butterflied fried shrimp were also on the bill as was a helping of collard greens, cole slaw and Texas baked beans. The tartar and cocktail sauces (made onsite) were the perfect compliment. There’s no irony in 36-year-old Travis Johnson operating a sports bar restaurant in South Arlington. 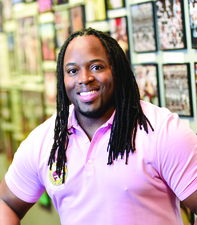 The former Martin High School graduate played football on a scholarship at Ouachita Baptist University before coming back home and working in the family restaurant. Today he is the sole owner of TJ’s Catfish & Wings. He still looks like he could suit up as free safety but you’ll find him working in the kitchen and greeting longtime customers at his little restaurant. We had a chance to visit with him a few weeks back, sample the fried goods and find out a little more about the local athlete- turned-entrepreneur. Here’s a peek. What makes your food/menu unique? It’s simple but it’s done well. We make all our own sauces and dips and we keep it fresh. Any new menu items on the way? In the summer we sometimes offer a few more grilled things such as a grilled salad. From time to time we prepare chicken tortilla soup, gumbo and chicken spaghetti in the winter time. What is the most popular or most requested dish you make? We used to serve just wings. When I took over we introduced catfish and our customers love it. They keep coming back for it. But both our catfish and wings are popular. 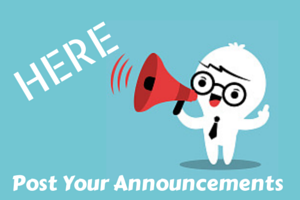 How do you want customers to remember their experience? Some of our customers tell us we’re like “Cheers,” where everybody knows your name. That means a lot to me. This is a mom and pop business and it’s important for our customers to feel welcomed and comfortable here. What is your favorite type of food to eat? I love seafood, I can’t get enough of it. I like it grilled, baked, fried, however you can do it. I’ve also really gotten into tacos lately. If you go out to eat, where do you go? I love to cook at home but I also have about a dozen restaurants that I like to go to. Places like Razzoo’s and Fuzzy’s Tacos are favorites. I appreciate a good meal. I love to watch sports and spend time with friends and family. If the weather is just right, I love to grill outside. Do you have a favorite quote or advice you’ve received or given? Good To Great by Jim Collins and Rich Dad, Poor Dad by Robert T. Kiyosaki. If you had to choose another profession what would it be? General Manager of the Dallas Cowboys. I want to take Jerry Jones’ job! Seriously, I would enjoy being a GM of a football or basketball team. Sports was so much a part of making me who I am today and I would love to be involved with it. 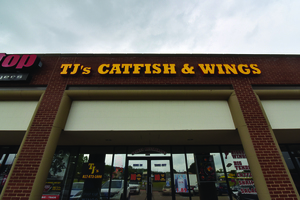 TJ’s Catfish & Wings is located at 4261 W Green Oaks Blvd in Arlington. It’s open 11:00 am until 9:00 pm Monday-Thursday, 11:00 am until 10:00 pm Friday-Saturday and 11:30 am until 8:30pm Sunday. Visit them online at www.tjs-arlingtontx.com or call 817-572-1600 for more information.